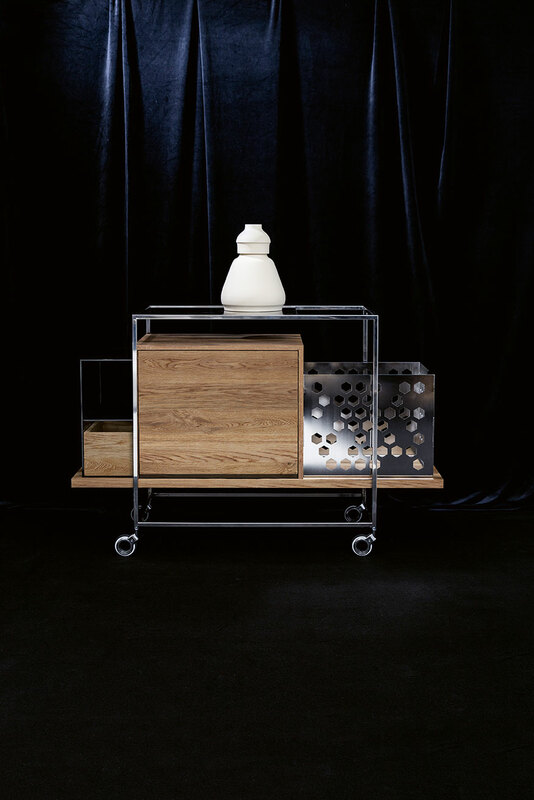 Mixing materials, forms and references, the Madison bar wagon is made up just like any good cocktail. Perfectly composed by Michael Schmidt, Madison blends references such as 1920’s high culture and modernist architectural lines, to create a bar ready to roll into any contemporary gathering. 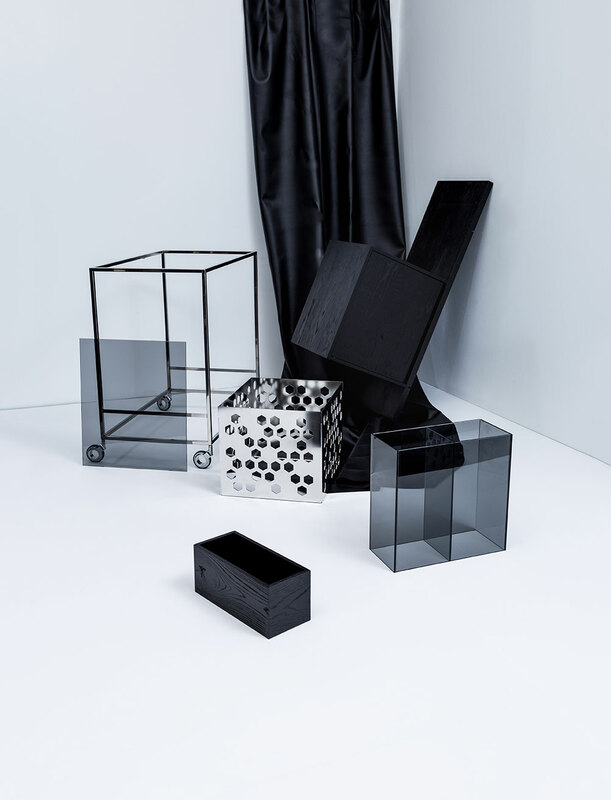 Built up from a series of square profiled compartments and components, Madison´s architectural form contains space for all the functions required for the perfect party – from an intimate setting to the entire guest list. A series of timber and polished stainless steel compartments allows space for all the necessary equipment, while the coloured glass top provides the perfect workspace if things get a little messy. All of this sits atop the stainless steel frame fitted with castors so you can take the party to the people. 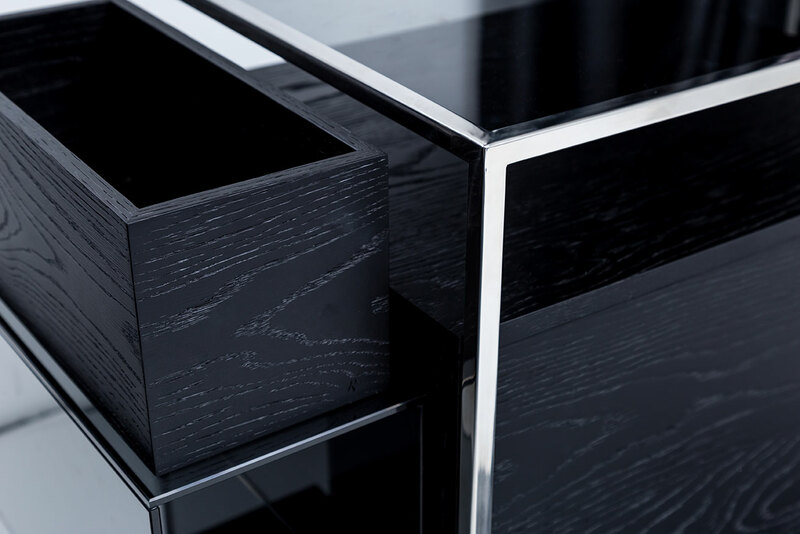 Madison´s stainless steel and coloured glass can be topped off with a choice of black lacquered oak or oiled natural ash. 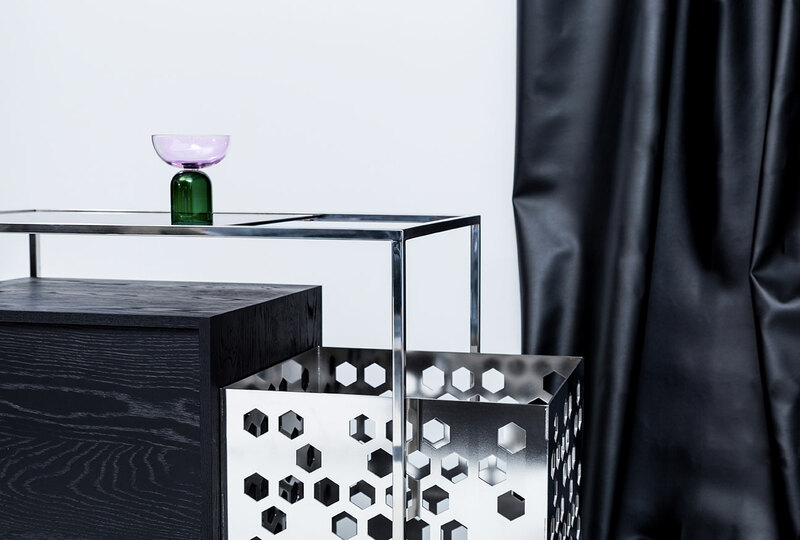 Fusing exquisite form and high function, Madison blends materials and styles to create a contemporary party starter. “Design means far more to me than merely shaping a product. I need to completely immerse myself in its history, understanding the motives and hidden desires that lie behind the product, in order to create my own individual version and interpretation.” Michael Schmidt’s projects are based on the core belief that design is a strategically important element in the successful market positioning of a brand. After graduating from Stuttgart University, Germany he commenced his professional career at Mercedes-Benz in the Department of Advanced Design and Conception and at DesignWorX, where he redesigned the AUDI logo in 1994. In 1995 he set up his own design studio in Stuttgart. 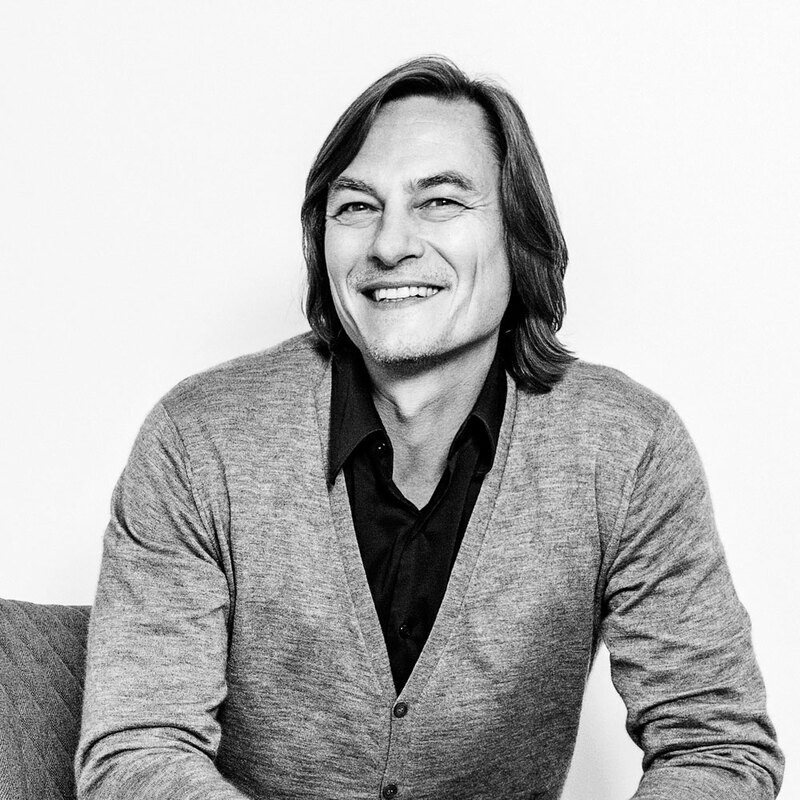 Michael Schmidt sees his role as a design author, turning stories into products. In addition to more than 40 international design awards, he was honoured in 2011 with the Aqua Cultura Prize for his achievements in the world of bathroom culture.